However, due to various circumstances, in particular to the gradual decline of sugar production in the West Indies, it was obvious that the company needed to restructure its activities.  Thus it was, that in 1975 the opportunity arose to re-enter the Bordeaux wine trade and to revive one of the company''s activities that had been dormant for the previous two centuries. Given the risks that have appeared recently in both wine production and wine marketing and sales, the Company decided, in 2005, to stop trading in wines and to devote itself to the study and the implementation of financial investments. 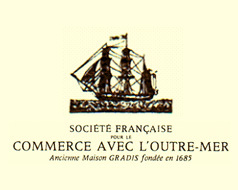 The "Société Française pour le Commerce avec l''Outre-mer, formerly Maison GRADIS, established in 1685" is managed at present by Diego GRADIS, C.E.O., direct descendant of Diego GRADIS, the founder. The GRADIS family originated in Portugal and settled in Bordeaux towards the end of the 16th century. 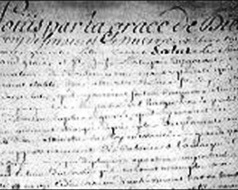 In 1685, Diego GRADIS founded a trading company and, ten years later, passed it on to his son David. Soon after that, David decided to abandon trading in cloth and to specialise in trade with the colonies. In 1711, he bought his first vessel, in England. This was " Le Tigre " which was destined to be the first in a long line of ships. The company shipped wine, brandy, flour, bacon and salt beef from Ireland and returned from the West Indies with cargoes of sugar, both white and unrefined. When the seven years'' war broke out in 1756, the company had the opportunity to play a major role. For example, in 1758, in one single voyage, it despatched 14 vessels to re-supply Canada. Because it had consented to the Kings Louis XV and Louis XVI important credits, the Maison GRADIS received, as a reward, exceptionnal privileges. The French Revolution of 1789 had very severe consequences for the Gradis Company. By 1892, the company was acting as commission agent for several producers, selling their sugar in Bordeaux, Nantes and Marseille.